A few years ago, Elissa and Fadel Shaker came together into a duet song called “Gowwa Al Ro7” (inside the soul); a romantic song of two lovers conversing how much they love each other. At that time, it was a perfect match for two of the most popular Arab singers who excelled in these types of songs. Fadel was no less romantic than Elissa, and his songs carried no less love. Fast forward to the 23th of Jun, 2013 (yesterday), Elissa is on stage in one of the biggest celebrations of the TV industry in the Arab World, The Murex D’or, celebrating her success with two awards: Best Lebanese Singer, and Best Arabic Song “As3ad Wahdah” (the happiest). On the other hand, Fadel Shaker is sieged in a Mosque in the Lebanese town Seida, and fighting with a terrorist Salafi group against the official Lebanese army. On stage, Elissa appears in an extravagant white dress, she talks about how she doesn’t feel being the happiest tonight for one can’t help it not to be affected by the killings happening on the ground, but yet what makes her happy is the fact that this event is actually taking place and that people are still celebrating music and life. In a video that came out early in the same day, Fadel Shaker appears with a long beard, cursing Hezb Allah and his leader Hassan Nasrullah and threatening – actually promising that he will – to kill the mayor of Seida. Seeing Fadel Shaker in video talking like that is mind boggling. I can never understand how a man who has an angelic voice and who has been singing for love for many years drops everything and becomes an agent of hatred and murder. I don’t want to play the devil advocate here, but watching other videos for him, he comes across to be sincere in terms of believing in the cause he is fighting for. One can’t deny the horrors happening in Syria, and the urges of wanting to stop the killings is totally natural, still the means of defending those innocent people are questionable. I would rather see him fighting with his voice, singing for that nation, singing for peace and harmony, that would be much more effective than joining the devilish game. That’s what Elissa is doing. She has never shied of speaking up her political stand. She probably hates Hassan Nasrullah and Bashar Al Asad even more than Fadel, but she expresses that in words, not bullets. But looking at the photos of both singers above, I can’t help myself thinking about the gender divide in the Arab world. We regularly talk about the injustice women face in the Arab world, and that is totally true and I am an avid advocate for the fight against that injustice, but taking a closer look, one would wonder if men are in no less horrible situation. In fact, Arab men are on the track of a death discourse. The value of life has taken a backseat next to distorted values of honor and pride. If one looks at the most Arab followed tweeps online, one would see the list is divided between the female lebanese singers and the religious Saudi leaders! In fact Elissa herself enjoyed more than 1,375,000 follower and is ranked at number 4 in terms of online influence in the MENA region according to Klout. In comparison, Fadel Shaker’s twitter account shows 147,830 follower. That is a huge indication of the polarisation taking place in the Arab world between religious and non-religious people and how men and women fit into that. While no body can deny Elissa’s popularity, one can not also deny that there is a big side of the Arabic culture that looks down at her and what she represents. In her fist video clip she appears with no clothes, only a blanket that covers her body and moves along with the wind. The song, “Baddi Doub” was a big hit, but Elissa had to fight for years to prove herself and break out of the accusations of her using her body to overcome her weak voice. The “blanket singer” is still how many sees her today after more than 15 years of her career. It is also true that her appearance in that clip opened the door for a new wave of singers that flaunted their sexuality and femininity to gain popularity, something that is rejected by many men and women in the Arab world. 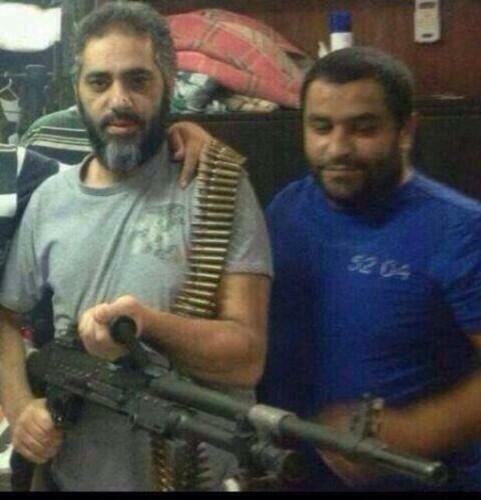 If you look at Fadel Shaker’s singing career, he had to face nothing of that. After all, he is a man. He has been pretty much respected for his voice and his songs. Sadly, he asked people not to listen to his music for he believes it is forbidden (haram!). What is interesting is the reaction of people to that change. While many people have been cursing and insulting him for appearing like a terrorist and fighting the Lebanese Army, others on twitter have been applauding him for “repenting” and choosing Allah’s path. They see him as a hero who is fighting to protect his fellow Sunneh. For me, I would vote for Elissa heroism all the way. We had a history of looking down upon female artists especially those who escapes the boundaries of the culture and celebrates their femininity. For some, it may be an over exposer of women sexuality and objectifying of the subject of women, yet it may very well be what were are missing these days; more women celebrating their gender expressions in whatever way they see fit. I really wish Fadel Shaker was there yesterday next to Elissa on stage, receiving an award for celebrating life.